Jose Mourinho will drop a pursuit of a Juventus star to instead go after a Real Madrid superstar. 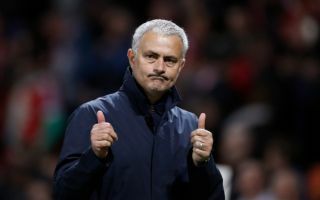 Manchester United and Jose Mourinho will drop their pursuit of Juventus star Blaise Matuidi and instead will go after Real Madrid star Toni Kroos. A report from the respected Italian outlet CalcioMercato has stated that United will drop their pursuit of Juventus midfielder Matuidi with the Serie A champions growing increasingly reluctant to allow the French midfielder to depart Turin. Instead, United will now turn their attention to Real Madrid’s German midfield general Toni Kroos. Both Kroos and Matuidi starred in last week’s Champions League drama with Real Madrid edging a 4-3 aggregate win over Juventus. Matuidi had scored what looked to be a vital equaliser in the tie for Juve before Cristiano Ronaldo’s dramatic late penalty sealed the win for Real Madrid. The Manchester Evening News reported in January that United have long been linked with a move for Real’s German midfielder Kroos and that Real feel as though they could collect a fee in the region of £90m for the midfielder. 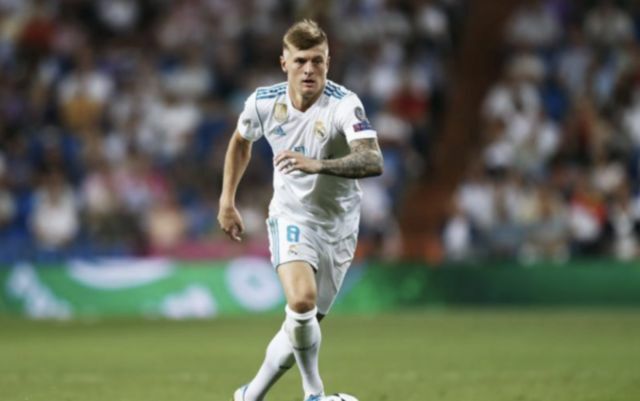 Kroos has starred in both of Real Madrid’s previous successive Champions League titles in the last two seasons and is on course to win three in three years if Real can clinch the title once again this season.